Being in this domain since 1983, Trade Link, is the principal exporters, manufacturers, suppliers and wholesalers of Marble and Gemstone Products. We have received supreme accolade in our business for our array of products which includes Inlay Floorings, Marble Tables & Stand and Gemstone Slabs. We employ leading-edge processing technologies and tried-and-tested methods in order to offer fine quality, design and choices to our customers. Also we offer customization option for those clients who need something special according to their requirements. We shape their thoughts into our exclusive products. We assure timely delivery of bulk orders, easy payment mode without compromising with their quality. Leveraging on all these strengths, we have a huge clientele base and strong market capitalization. A great supportive and co-operative team forms the biggest asset and infrastructure of any blooming company. We are backed by a state- of art-infrastructural facilities and dedicated team of professionals which has webbed the threads of success and growth with their professionalism. They are capable of handling every department from purchase to delivery of quality goods. Our client centric approach, superior products and business ethics has led us to consistently attain our commitments and complete client satisfaction. We are exporting our quality products in all over the Globe. Managed under the proficient guidance of proprietor Mr. Ankur Bansal, our organization has grown manifolds in the marble industry since its inception. His industrial experience and intellectual approach have led the organization to become a big player in the market satisfying to diversified needs of clients. Superior quality is maintained following strict control procedures right from the processing to the final stage of packaging. Every step at Trade Links is supervised by a team of experienced professionals who are capable of ensuring the streamlined processing as well performing rigorous test on physical as well as qualitative attributes of Marble and gemstone products.Our whole range of is subject to stringent check conforming to the parameters related to their strength, texture, hardness and color. After the final process, they are cross checked for detecting any crack and breakage, only then polished to give the required finishing. 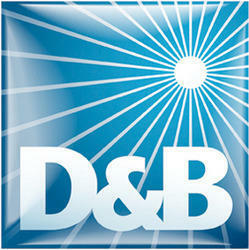 We are the members of DUN & BRADSTREET. Other than the usual range of Marble and Gemstone products available in the markets, we offer a completely new collection which is highly creative and admired by the customers.